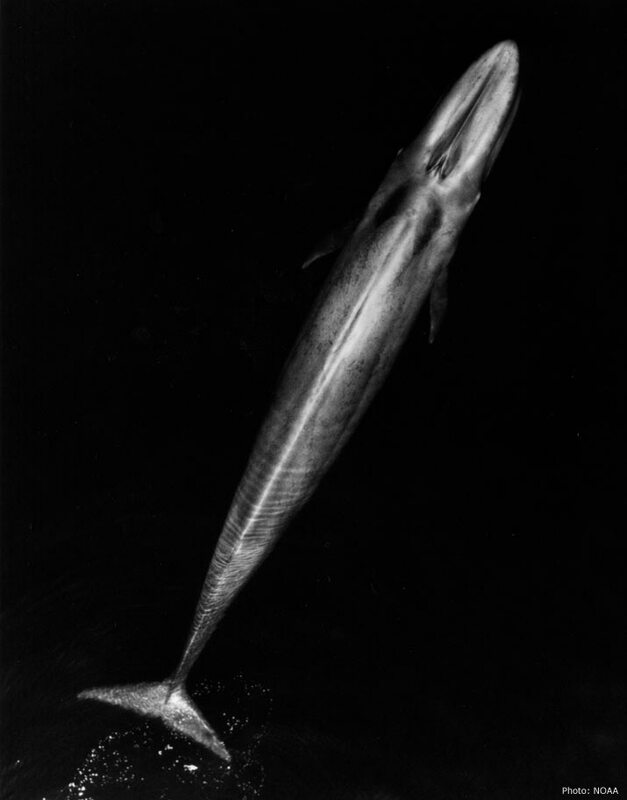 The blue whale has a long body with a mottled gray colour pattern that appears light blue when seen through the water. It is the largest animal ever known to exist on earth. It can weigh up to 200 tons and it approximately 80 to 100 feet in length. Range: Blue whales are found in all oceans and are separated into populations by ocean basin in the North Atlantic, North Pacific, and Southern Hemisphere. In the North Atlantic Ocean, blue whale range extends from the subtropics to the Greenland Sea. Blue whales are most frequently sighted in the waters off eastern Canada, with the majority of recent records from the Gulf of St. Lawrence, where they are present throughout most of the year. Habitat: Blue whales are found worldwide in every ocean. Poleward movements in spring allow the whales to take advantage of high zooplankton production in summer. Diet: A blue whale's diet consists mainly of krill, tiny shrimp-like animals. Blue whales reach sexual maturity at 5 to 10 years. On average one calf is born every 2 to 3 years. The gestation cycle is 10 to 11 months however little is known about the actual mating rituals. North Atlantic blue and right whales are disappearing from our waters.